It is unusual for a single stage play to have two costume designers. One source from a literary piece, many genres. Nothing is impossible in theater. True, Dr. Jose P. Rizal’s masterpiece novel has been produced in various medium and one of its translations onstage has two costume designers like J & S Productions’ “Noli Me Tangere The Opera.” I discovered this fact when I ran through its press briefs. While the name of Jess Sibal, a New York-based event designer is the costume designer written on the poster and other incidentals like tarps and banners but haute couture Albert Figueras is stated as a co-costume designer in the press release. The story is like this. 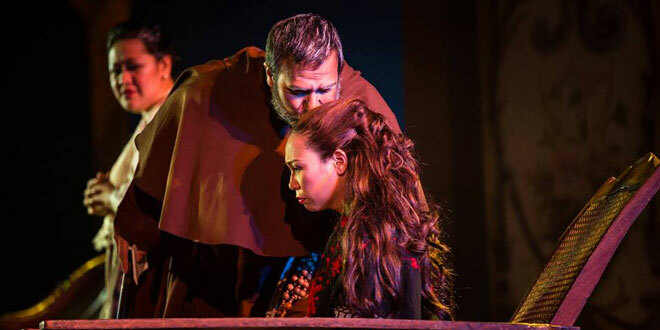 During the maiden performances of National Artists Guillermo Tolentino (for Sculpture) and Felipe Padilla de Leon (for Music)’s “Noli Me Tangere The Opera” at the Kaye Playhouse in New York in 2013, the John F. Kennedy Center for the Performing Arts in Washington D.C. and the Newport Performing Arts Theater at Resorts World Manila both in 2014 and at the Cultural Center of the Philippines in 2017, it was not only Jess who did the costume, it was also Albert. “Jess is a friend. I support him,” said Figueras, a veteran fashion designer and a theater artist who has done numerous dresses for theater productions including the established company, Gantimpala Theater Foundation. Sibal is a master in design so as Albert. For more than 25 years, floral artist, book author and opera producer Jess has been creating magical settings, lavish wedding designs, corporate retreats and charity ball all over the world. Meanwhile, Albert has also been designing for television shows, indie films, wedding celebrations, parties like debuts, birthdays, reunions etc and other artistic endeavors. If one happened to pay Dusit Thani Hotel a visit during the holidays, the fanciful and thrilling Christmas display of yuletide spirits like Golden Rudolf in the lobby and elsewhere of the hotel, they were all designed by Sibal. Figueras, on the other hand, did the many production designs of historical plays presented in various venues like the AFP Theater, Rizal Park Open Air Auditorium etc. Jess and Albert are two world class artists the country is very proud of. On March 8 to 10, Sibal and Figueras’ amazing costume designs for the “Noli…” opera at the CCP Main Theater with a cast of multitalented actors will be shown again to the public. In addition, Albert will showcase on March 19, 2019 his historical masterpieces in the costume department of “Noli Me Tangera” in Sydney, Australia in an Australian production of the novel on stage. 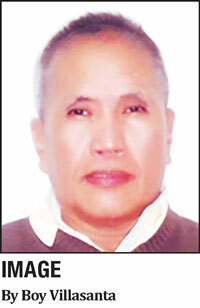 Incidentally, Filipino tenor and award-winning actor Miguel Castro will play the main role of Crisostomo Ibarra.